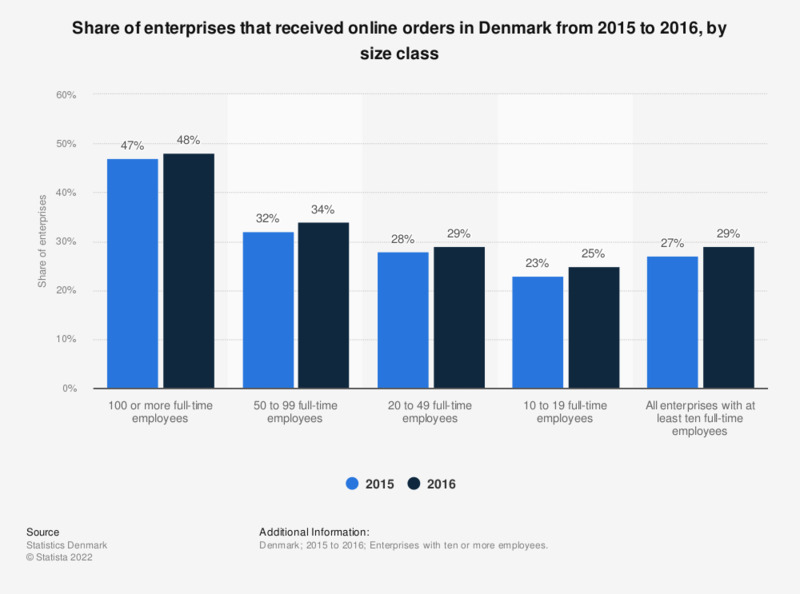 This statistic shows the share of enterprises that received online orders in Denmark from 2015 to 2016, by size class. As of 2016, 48 percent of enterprises with 100 or more full time employees received orders via the internet. Enterprises with ten or more employees.